Why should eggs get all the glory this Easter? 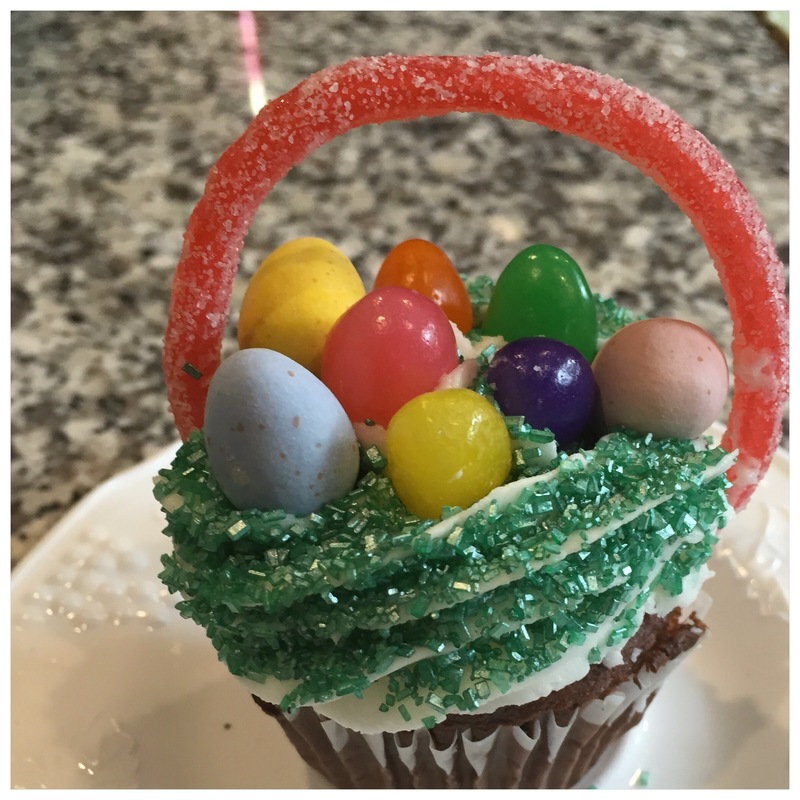 These Easter Basket cupcakes are too cute and the kids and I had just as much fun making them as we do when we color eggs. 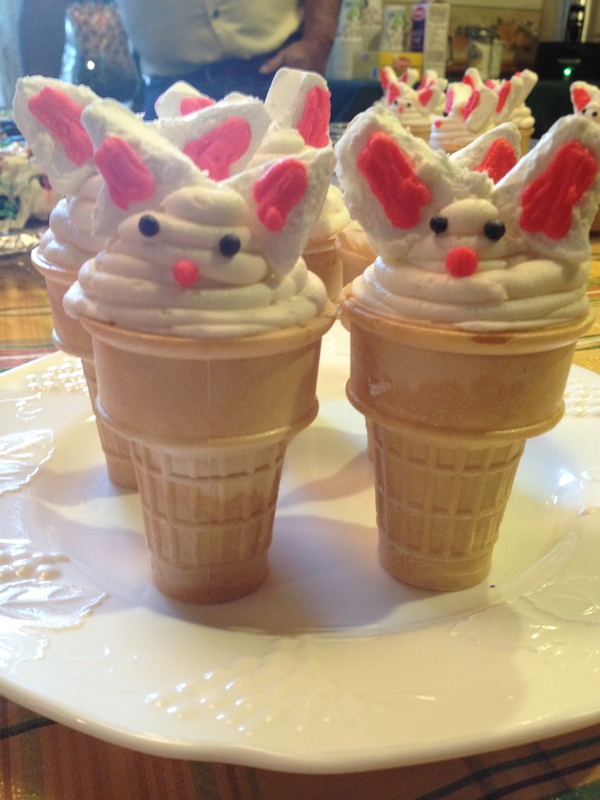 They will make a great addition to your dessert table on Easter. 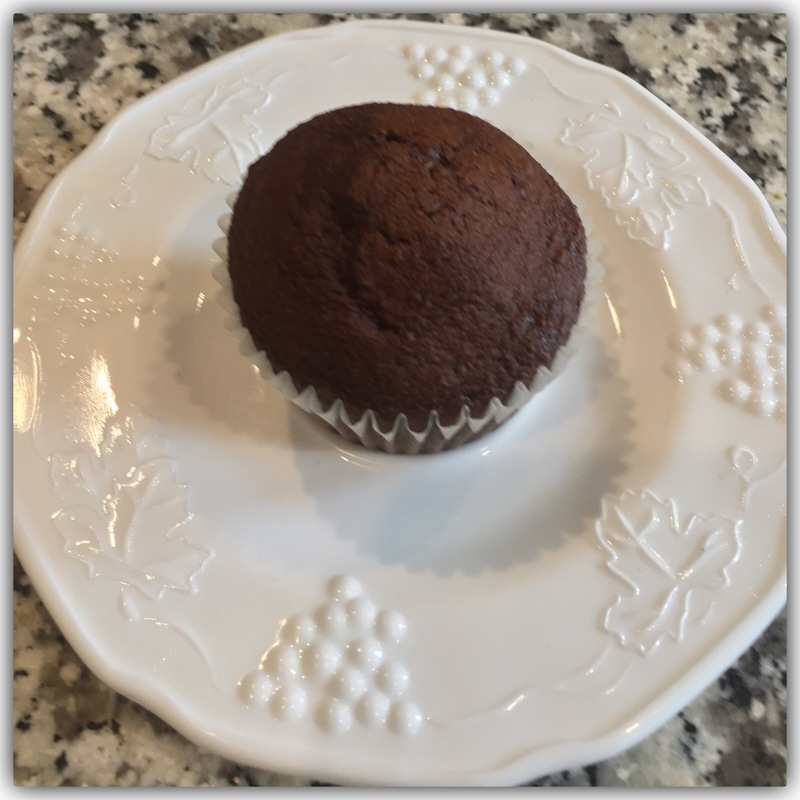 Make cupcakes as directed by the Cake Mix. I usually get anywhere from 18-22 cupcakes per box of mix. I always use the Pampered Chef scoop to measure out the batter. 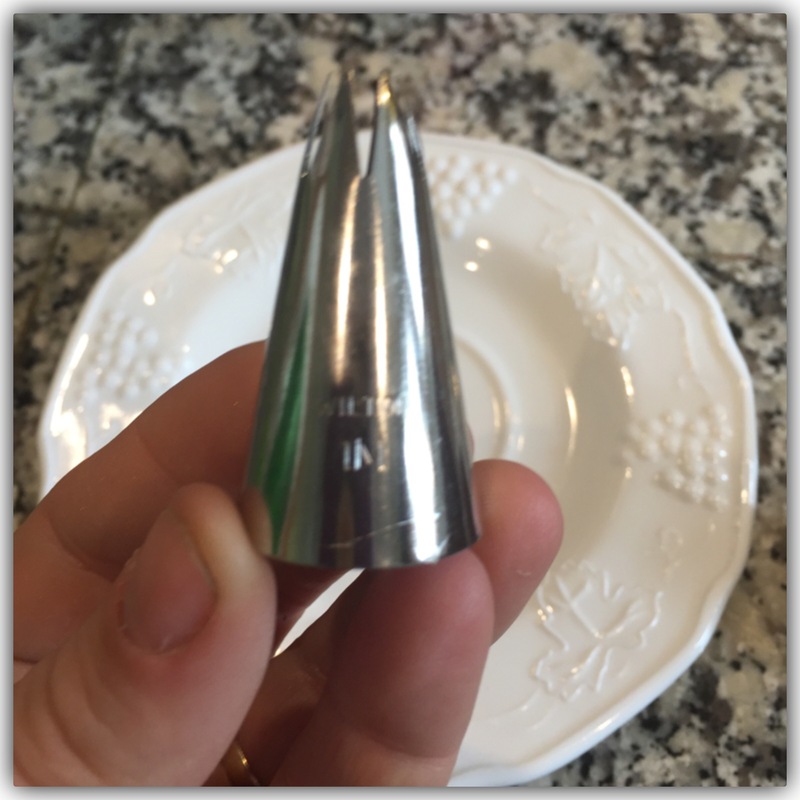 This little tool makes it easy to make perfect uniform cupcakes. Cut the tip of an icing decorator bag. Place the Wilton decorator 1M tip inside the bag. Fill the bag with icing. 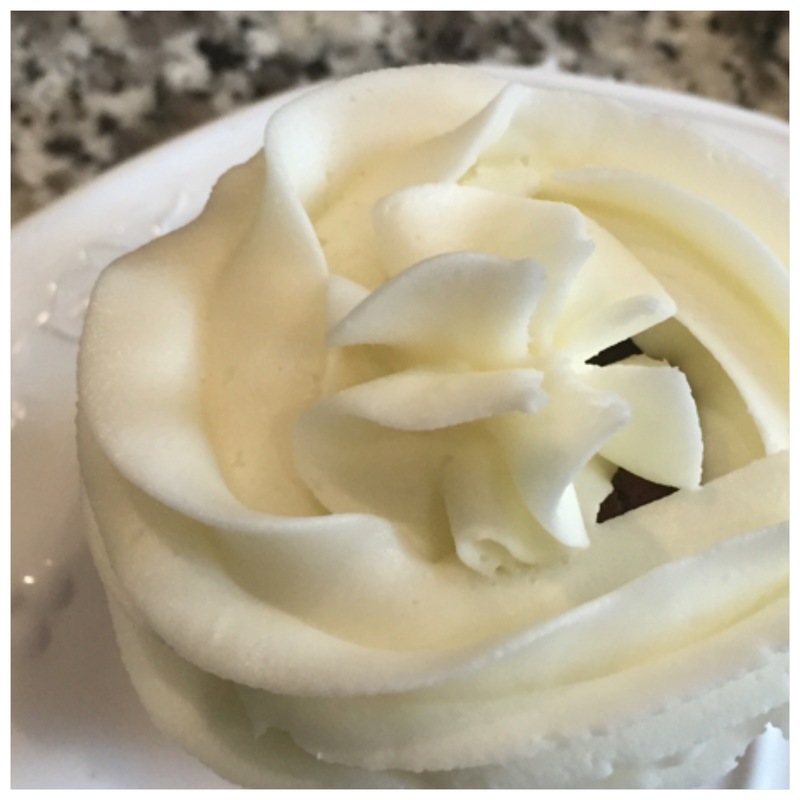 Start on the outer edge of the cupcake and make two swirls around the edge. One swirl on top of the other to create the sides of the basket. Make sure when you apply even pressure and stop applying pressure before you pull away the icing bag. 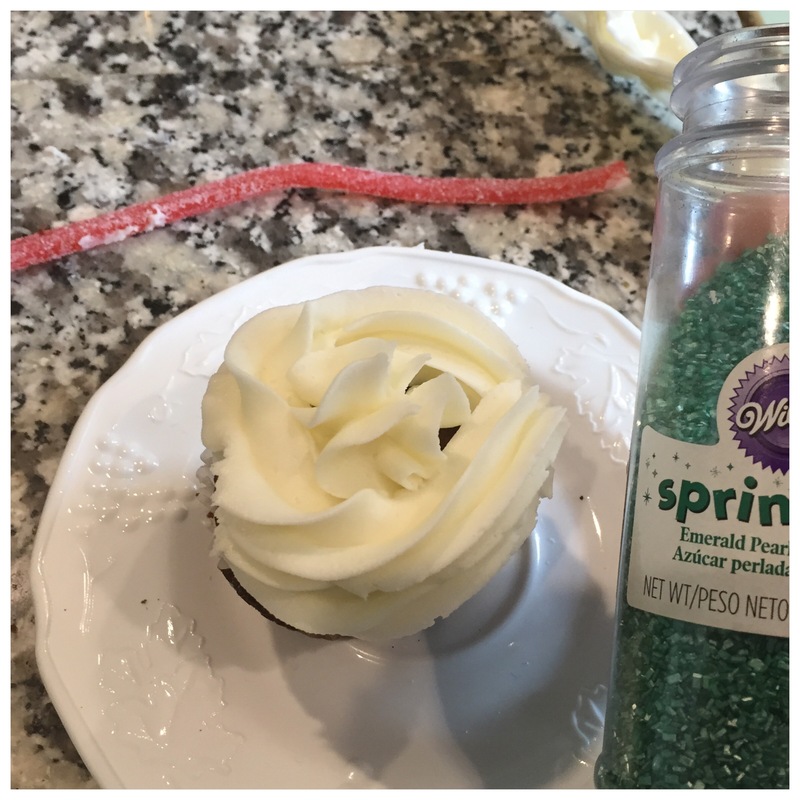 Place a little icing in the center of the cupcake to hold the candy. Next add the green sugar sprinkles to create the grass for the cupcake. Then create the basket handle using a Sour Punch. Push one end into each side of the cupcake. Make sure to actually push it into the cake and not just the icing or it will fall off. 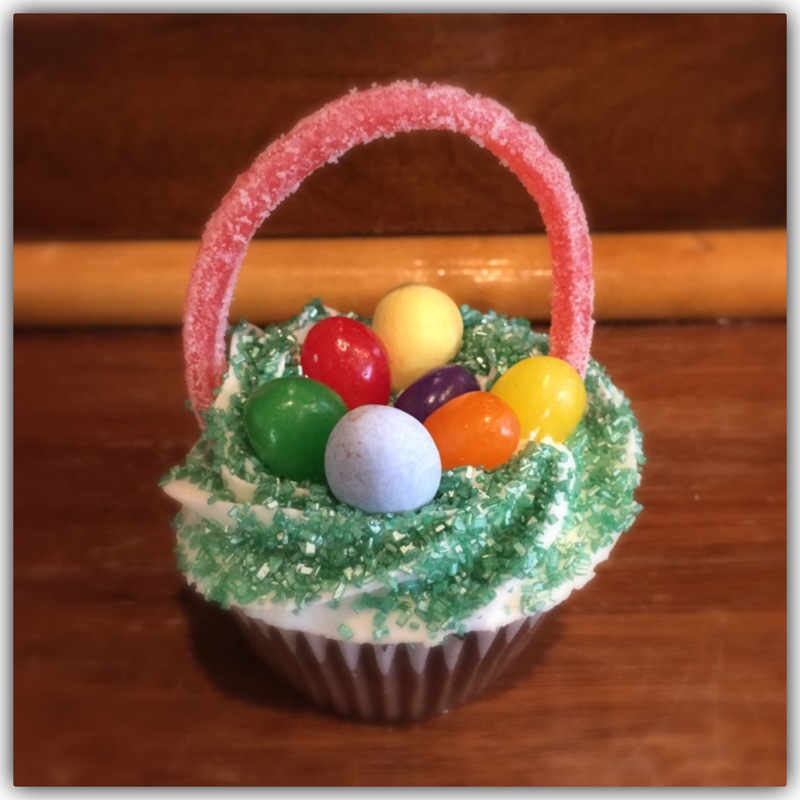 Then add the jelly beans and Robin’s Eggs to the center and you have an adorable edible Easter Basket. What’s your favorite Easter Recipe? 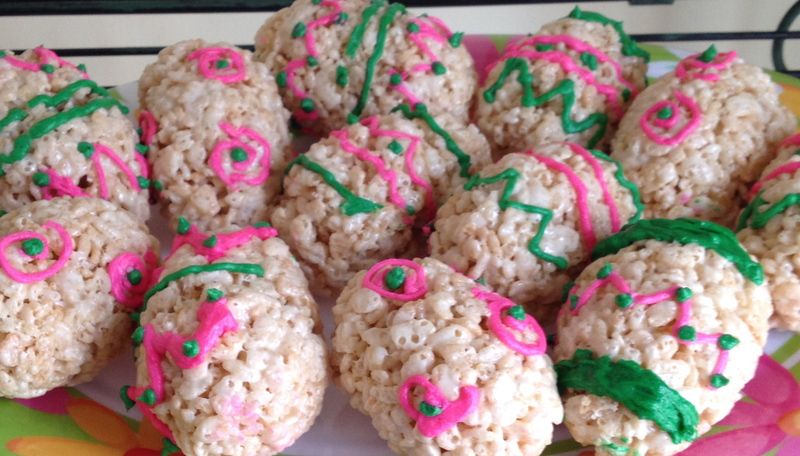 Here are some other Easter recipes you might like to try.